Two vastly different analyst reports do a great job of indicating the immense confusion surrounding the next-gen iPhone launch, which is due next week on October 4th. While some analysts are continuing to predict an all new redesigned iPhone 5 released alongside a low-end iPhone 4S, other reports suggest only one new iPhone is going to be pushed out by Apple this year, and that it’s just an incremental hardware update to the iPhone 4. 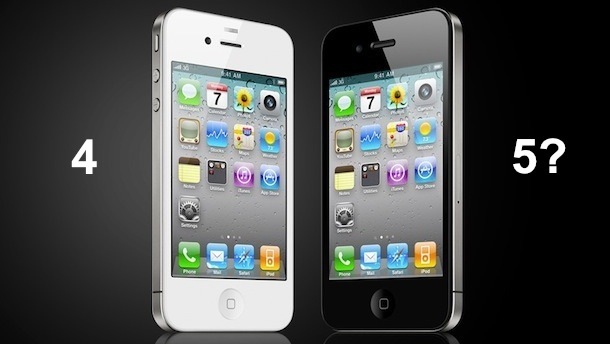 The first report from Deutsch Bank, as relayed to AppleInsider, suggests that iPhone 5 is expected to be a “completely redesigned handset” featuring “an aluminum unibody construction to replace the current glass back of the iPhone 4” and that it will have a slightly larger screen. Additionally, Deutsche Banks Chris Whitmore suspects that the so called iPhone 4S is basically an iPod touch replacement, providing a cheaper high margin device that Apple can aim at emerging markets. The idea of two phones released simultaneously, one of which will replace the iPod touch, is an appealing theory, but there are other reports that indicate that’s not what is happening. Meanwhile, an apparent confirmation from the frequently reliable All Things Digital branch of the Wall Street Journal suggests that a dramatically redesigned iPhone is not going to be released this year. Furthermore, they seem to agree with the idea that Apple is not going to release two different iPhone models at all, throwing water on the dual iPhone 4S and iPhone 5 theories. 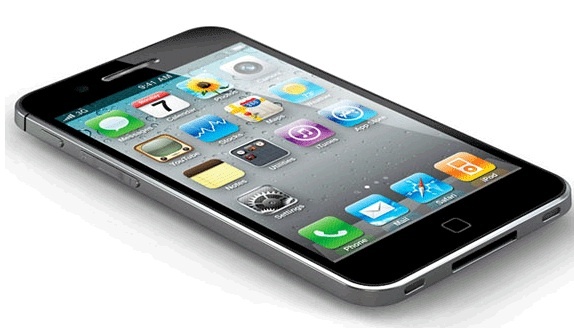 [According to Wedge Partners analyst Brian Blair] Apple’s fifth-generation iPhone will be an incremental update to the current iPhone 4, not a major redesign. AllThingsD John Paczkowski responds to this simply with “Agreed”. In terms of hardware specs, other than the “[possibility of] a larger screen”, the report echos what has long been expected by the rumor mill: A5 CPU borrowed from the iPad 2, 1GB RAM, 8MP camera, and a ‘worldphone’ baseband that brings GSM and CDMA compatibility onto a single chip. iPhone 5 Specific iOS 5 Features a Big Selling Point? Finally, Mark Gurman of 9to5mac provides information about an next-gen-iPhone-only iOS 5 feature called “Assistant” that will be “the new device’s biggest selling point”, which lets you speak commands to the iPhone through an intelligent voice command system. 9to5mac has a detailed summary of the Assistant feature that is well worth a read, and their report also reaffirms the aforementioned hardware specs from other rumors. The most glaringly obvious aspect to all these reports is that nobody knows exactly what’s coming out of Cupertino next week from Apple. About the only thing anyone can agree on is the devices availability, where a mid-month release date looks like October 14, if for no other reason that it being in the middle of the month, with iOS 5 coming slightly earlier. iPhone 4S Package Label Discovered, No iPhone 5 Next Week? I’m tired of following the rumors, but I am leaning towards the conservative side of expectations. WSJ’s repoters are directly connected to Apple and that’s where Apple plants leaks, so if they say only one iPhone that looks like an iPhone 4GS then I would bet good money on that. Regarding the other nonsense you read out there, I think people just make it up. Reminds me of UFO and Big Foot sightings, people say anything to get attention. This is what Apple is up against if they don’t release a killer iPhone 5, and millions of customers will move over to the competition. The 4G LTE is the killer for me. There is no reason why anybody would want to drop the 4G phones for the iPhone if it’s still stuck with 3G. Reminds me when the original iPhone launched on Edge, and many waited for the 3G. Looks like some of us will be waiting for the iPhone 6. Is it 100% confirmed the voice assistant overhaul will not be compatible with the iPhone 4? And if so why not??? Isn’t it just part of iOS which should run on the 4? No, nothing is 100% confirmed until the event on October 4th when it is heard directly from Apple.